Register Log In ECN Forum Forums Violation Photo Forum Fire source! What were the loads plugged into this? I only saw a fish tank (aquarium), but there had to be other items. Damage: scorched wall; fish tank; 4' hole in ceiling by FD; water/smoke. No visable damage to the receptacle this was plugged into. Public area. Probably flea market. Powering up "temporary" food vendors. Kinda look like what I grew up in... I wonder the place I grew up predisposition me be a sparky? Power strips typically contain MOVs (metal oxide varistors) for surge suppression. When an MOV ages, its trigger voltage can drop below the peak to peak line voltage, causing it to draw current and heat up. If the power strip has a plastic housing, the burning MOV can set the plastic on fire. Another bad practice is the "3 way" surge configuration that places MOVs line-to-neutral, line-to-ground and neutral-to-ground. This is strictly for marketing to the dumb masses who think that more is always better. Dumping surge current into the protective ground pulls it off of ground potential. Since this is the zero volt reference for sensitive electronic equipment, bad things can happen (like fried serial ports). Typically, the neutral-to-ground MOV has an extremely low trigger voltage, so that a loss of neutral will cause it to try to pass the full circuit load current to ground. Obviously, it then burns up. I worked in an office with modular furniture. Some amateur electricians did not get the wiring harness connectors securely locked together. Over time, they would separate, and when the neutral connection was broken, power strips would melt all over the place. Disassembly revealed it was always caused by a burned neutral-to-ground MOV. One time, a power strip actually broke out in flames. Someone hit it with a fire extinguisher before we got to find out if the sprinkler system worked. In conclusion, I will bet dollars to donuts that the fire was caused by an MOV, not an overload. Most power strips have a resettable circuit breaker to protect against overload. 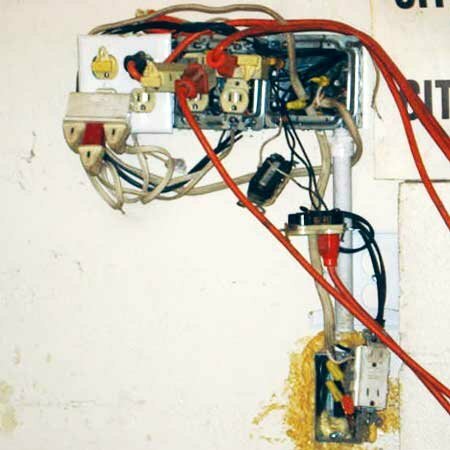 BTW, if you want serious surge suppression, put a UL-approved surge suppressor on the service entrance and look at zerosurge.com for point of use protection. They are one of the few companies that make surge suppressors that actually work. No, I am not affiliated in any way with this company. Welcome to ECN, and thanks fo te input. 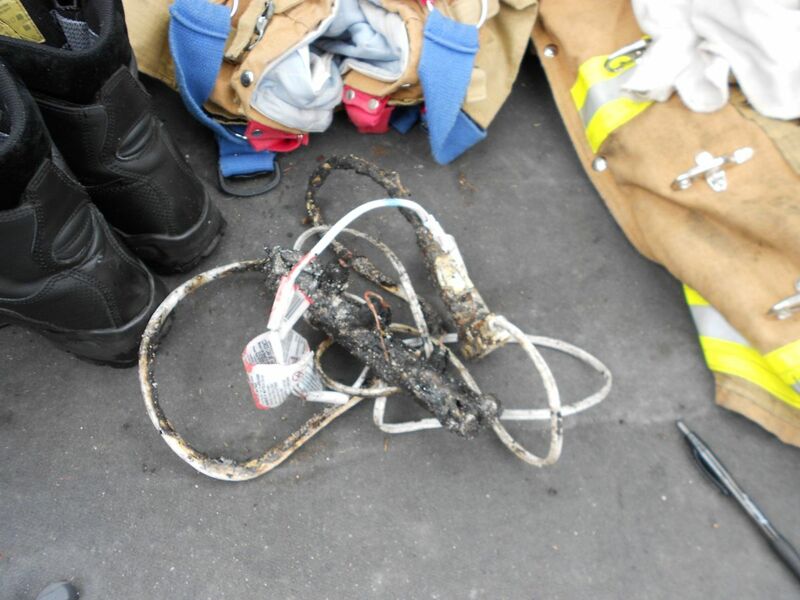 Last I heard from the FD was 'inproper use of extension cords, adapters, & power strip' was the cause.